THSC believes homeschooling offers a quality education for children, but can it be the best model when a single parent or both parents work? 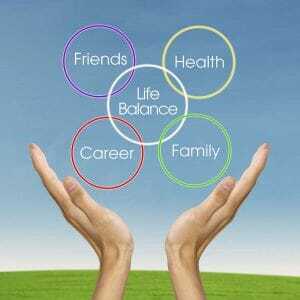 I believe it can and I want to share with you a little about my experiences and some tips for balancing work and homeschool. When my four oldest children were in public school, I was struggling to balance work, homework, plus all other things that went along with raising teens, a pre-teen, a preschooler and an infant. I prayed earnestly one night for a way to afford to stay home with my children, and my prayer was answered in a surprising way—layoff! I began a small childcare as a listed family home and took care of three children in addition to my daughter. I loved this instantly, and the next two years were a precious gift. However, kindergarten drew near, and my son would be going into fourth grade. I wasn’t ready to close my childcare, and I loved teaching at home. As a result, I brought my son home too and began homeschooling full time with preschoolers and after-school students to provide a small income. Along the way as the kids got older, I found many sources of income from bookkeeping, homeschooling another student, cleaning houses to now working for THSC while my husband and I run a business together. I won’t say this has always been easy, but it has always been possible, and I’ve learned a few things from challenges along the way. As parents, teaching our children has been our job from the moment we were created, but in the late 20th century, Texans began facing opposition for this choice. Research shows that homeschooled students outperform their peers. Thanks to the work of Texas Home School Coalition (THSC), we are free to homeschool in Texas, and THSC continues to speak up when those freedoms are threatened. My husband and I believe that God entrusts us to raise our children. Once we decided to homeschool, we learned to smile and shake it off when confronted with naysayers. They come and go. Some start out objecting, and many who watched us homeschool through the years changed their mind. But even for those that didn’t ever support what we were doing, I remembered that we chose that path, and they did not. As much as I believed in what I was doing, I chose to respect differing opinions. The freedom to choose how we live is one of the great things about this amazing country we live in. Putting my trust in my Father was my support system, and taking my problems to Him has been my continued well spring of support. Will I Have Time to Serve in Ministries if I Work and Homeschool? This can be a delicate balance. I love my church. I love giving back to my community. The amount of volunteer work you can take on will be different from me and different from another parent in your homeschool group. Your capacity to volunteer is likely even very different from that of your spouse. While working and homeschooling, I have served as a VBS teacher, VBS director, school board trustee (I’m not kidding), chamber of commerce board member, church treasurer, co-op treasurer, co-op leader, nursing home volunteer, nursery helper in my church, vision committee member in my church, neighborhood prayer group leader and prayer team leader! Most of my volunteer activities were done alongside my children, to help them learn compassion too. Additionally, there have been plenty of things to which I have said no. Each parent must find the balance that allows for you to accomplish your priorities. I had to remember that there will be a time when my children will be older, and some of those ministries that I said no to may be a yes later! Let’s face it. You are most likely working while homeschooling because you either need the income or you love working. That being said, it’s easy to spend too much, especially when your time is stretched. Therefore I have learned some valuable tips along the way for preserving my very tiny budget and making it work. Young children do not need to be enrolled in every sports program and extracurricular class. Children often have just as much fun splashing in the hose, baking, crafting or helping a parent with a project as they do going to an amusement park or taking part in expensive classes. Preteens and teens should begin to contribute in some meaningful way, especially if the things they need are now further from home or simply cost more. Equip your children to understand a budget. Give them some control of what you spend. It’s difficult to do, but letting them choose to buy one expensive item for the price you could have gotten three affordable items has a lasting effect. Have your children play a part in making sure their laundry gets done. I have found that one season of struggling to have clean laundry makes an impression on children the next time they shop for clothes. Look for ways to barter, trade or access freebies. Look for scholarships and contests to offer your student competition and challenges and for financial assistance for school materials or college. Be reasonable and set limits. Expectations can really kill a budget. The desire to have your house look like the cover of a magazine and your school room to look like that last pin on Pinterest can rob your joy, not to mention your ability to pay for groceries next month! Think before you buy—even with curriculum. Before making a purchase, ask yourself if this is something you really need or if it’s an impulse buy. My trick: I had a set dollar amount that I did not allow myself to spend unless I left the store or website and gave myself at least one night to think it over. It’s amazing how differently I felt after I had a chance to sleep on it. Yes, sometimes, it was gone when I returned after deciding I really did feel it was worth the money, but I learned that means it just wasn’t the right time. Curriculum is another area that can feel very daunting, especially when your budget and time is stretched like it often is for working homeschoolers. I remember when I first decided to homeschool, I read websites and reviews for hours. I felt so nervous about choosing the right program, and for good reason. I knew that my budget had limits, but I also knew that I needed shortcuts to help me because my time would run short. In the end, I found a balance, but to say that what works for me will work for you would be impossible. For some working parents, a textbook approach with a clear, easy-to-follow teacher’s guide makes their life easier. For others, a teacher-intensive unit study can work because of the great lesson plans laid out by the author—or a great support system in family or older students—to help with teaching. Know yourself, your time and your budget. Sometimes children learn more than you realize even without all the bells and whistles. Take advantage of teachable moments in everything you do. Just because you didn’t plant them in front of a book or a screen doesn’t mean they didn’t learn. Take a broad approach to the words, “curriculum must be in visual form.” Think of many of the worksheets and lessons you have. Aren’t real life examples just like these? Preschool students can learn matching by circling pictures on a worksheet, helping you match socks, pairing lids with the right storage container, and sorting flatware into the kitchen drawer. Gardening, sewing, baking, auto maintenance, woodworking, household repairs, accounting, computer maintenance and more are not only essential, they are taught as classes in schools and colleges. Capitalize on this opportunity. If your child helps prepare meals every week, helps rebuild a motor, or babysits for you regularly, a few tweaks to these experiences, and you have the makings of an awesome career and technology class. Don’t forget budgeting with your children. All that careful planning you are doing can be valuable experience for them if they come alongside and help you with balancing the budget or preparing taxes. Simply put, there are limits to the time you have available and the money you have to spend. Know this up front, and spend less energy on the things you want but cannot afford. That curriculum your friend uses that you swoon over just won’t do a thing for your family if you cannot afford it, so find something comparable. If it really is the best purchase for your family, plan a big yard sale and make it happen. Be sure to get the kids in on the action of all that planning! Good citizenship! What is it? Who sells it? Do schools teach this? Free resources: Who doesn’t like free? Time management is essential for working-at-home-mom (WAHM) homeschoolers or working parents in general. It’s easy to lose track of time with all the demands on parents and the abundance of activities to get involved in. 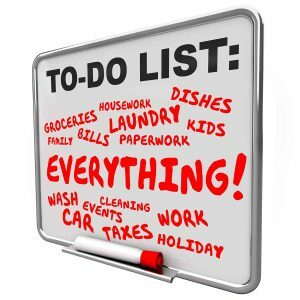 We all have those things we consider important, so your day may not look like mine, but these are a few things you can do to tame your schedule. Give yourself a little quiet time. I liked to do this early, before my kids woke up. Spending time with my Father and a cup of coffee really helped me feel equipped for the day—and still does! Identify what needs to be done daily and make sure to get it done. Take time once a week (Friday or Monday work best) and plan out the big things that need to be done every day for the next week. To stay on schedule, segment what you’ll do and when over the course of the day. If you have an online calendar, create personal events and reminders that tell you when to shift gears and start on new tasks (or use a website like NowDoThis.com). Identify times when you are most productive. Plan your day in such a way that you capitalize on your most productive periods: save your harder tasks for when you know you’ll be in the right frame of mind for them. Use slower points of the day to knock out the easier tasks that are on your plate. Small acts of success can build your momentum for the heavier projects that are waiting for you. Use a website like Rescuetime.com to understand and track your daily habits, then modify your schedule to maximize productivity. Get started early. Simply getting a project started first thing in the morning can be the key to making progress on it gradually throughout the day. Don’t make non-work-related appointments during your work day. If unavoidable, make the appointments early in the day or late in the afternoon. It’s more difficult to stop work for an appointment and return to it later. Try to select appointment times so that it will be either before you start work for the day or after you finish. Keep three lists of three. The first list has three things you will do today. The second is three things you’d like to get done, but aren’t essential. The third is three things that need to be done at some point. This will vary with the age of your kids. When my kids were little, my top three were sometimes as simple as: feed them, work, do school. A Saturday might have looked just a little different: feed them, dust, do three loads of laundry. Make a stop light for family members. Put a sign on your door or hang something brightly colored on your doorknob while working. Explain to your family that when the visual is on your door, you are not to be disturbed except for an emergency. Know your limits. If you have a heavy work day certain days of the week, find creative ways to get the essentials done and limit your other tasks on those days! Find a planning system you love and keep everything in one place. If you like scheduling on paper, keep the schedule with you. Or, technology offers many tools like Google Calendar, which you can sync across several devices. Pick a system and stick with it. Put all appointments, meetings and family activities in that one place. Sort through your mail with purpose. Weed out junk quickly. Open bills and put them in one place. Invites and appointment reminders get entered into your calendar right away with the date, time and address (and even notes). Plan carefully. Decide about how you will respond to invitations. It’s sometimes difficult to say no, but you just can’t make every birthday party. Sometimes your sanity is more important than running to two birthday parties, a soccer game, and the store on one Saturday. Take advantage of time-saving options. Many stores offer services that are free or at least very affordable to help you shop at home, then simply drive up to pick up your purchases. Sometimes technology is genius. Limit social media. I know you have heard it before, but truly, it merits mention here. I am not even that interested in social media, and yet find myself mindlessly reading stuff going on in other people’s lives while quickly losing the ability to manage my schedule. My fix: Social media is not on my phone anymore. You may have a different approach, but do what works for you. If you are not organized, becoming organized may feel like a waste of far too much time. But it’s essential to simplify and eliminate chaos. You want to know what’s a waste of time? Hunting for lost car keys or a lost science book, so tame the beast as soon as you can, because the busier you are the more critical it is to stay organized. I have a very small home with limited closet space, and we raised a reasonably large family in it. We did all this while I worked from home, and we ran a separate business from our home. It can be done, even with limited space. Get dressed. While homeschooling or working remotely, it is very tempting to stay in your PJs all day. Getting dressed helps you feel ready for the day. Have a regular routine for your mornings (such as setting an alarm, working out, showering and getting dressed). Get out of the house. If there’s too much going on at home, go to a coffee shop or library for a couple of hours to get some focused time for your work. A new environment can help simulate the energy of an office so you can stay productive during slumps. WorkFrom.com offers a list of places local to you with the best WiFi and most power sockets. Create an office space. Rather than working from your bed or on the couch (spaces associated with leisure time), dedicate a room or surface in your home to work or grading your child’s school. When you are not working, don’t be in that space! Be clear about your work hours: pick a time to start, take breaks and finish. Clearly separate work and home life. Separate your work office environment (see above tip). As much as possible, when you’re off work, don’t be responsive on instant message, text or email. Don’t work late into the night. Set defined times when you’re going to work, and then when it passes, stop. Use your breaks to get away from your desk. Go for a walk outside or spend time with others who might also be in the house. Be selective. Think carefully about furnishings. Consider the space you have in relation to the furniture you buy. That gorgeous end table won’t be so pleasing if you stub your toe on it every time you pass it. If your space is small, find things that serve two purposes, like a coffee table which doubles as a storage chest. Keep everything in its place. Create space for things you don’t want to lose track of, like your keys. Establish a habit and put them there every time. Donate, toss or sell what you no longer need. The more people you have in your family, the more things you will need to move out. Find a system and stick with it. Clothes seemed to take over my space, so I established a place for outgoing clothes (I stopped trying to keep these for yard sales; they get musty in storage and don’t bring much value). Instead, we marked a bag with a simple phrase like girls 4-6 or teen boy, and the bag stayed in the bottom of each closet (adults, too). Once the bag was full, it went straight to the car to be dropped off at our favorite charity. Create a system for keeping things organized. Don’t hesitate to pass them on when you don’t need them anymore. The hard one for us was books. We loved to read. We found great deals on books at Homeschool Classifieds and used bookstores. But we also benefited from selling stacks of old books and bringing home new books. This eliminates lots of books we were no longer reading in exchange for one or two new ones. Manage your mail. It can really pile up! This tip is worth repeating: Sort through your mail with purpose. Weed out junk quickly. Open bills, and put them in one place. Invites and appointment reminders get entered into your calendar right away. Establish a routine. Some tasks never seem to be finished (laundry, dishes and dusting, for example.) A few minutes tossing in a load of laundry and watering plants after my quiet time in the morning afforded me a better start to my day. The kids could pick up where I left off by folding and hanging clothes, putting away clean dishes, and doing simple chores after their quiet times and before they began school for the day. TIP: Flexjobs.com is a subscription service website that curates job listings for telecommuting/remote/work-from-home jobs. If you are serious about making the transition to working from home, this service will greatly facilitate your job search. On other job search platforms, like LinkedIn and Indeed, you can search keywords (remote, telecommuting, etc. ), but the results pale in comparison to the listings on Flexjobs.com. Subscriptions range from $14.95 for one month to $49.95 for a year-long subscription. You cannot do it all, so acknowledge that early on and be reasonable about what you expect to accomplish if you work while homeschooling. Pray when you hear negative things from others and don’t let that weigh you down. Find ways to continue to serve while serving the family that God has blessed you with already. Be realistic with your budget and your curriculum choices, and enjoy the blessings you do have already. Be strategic with your time and organize your home, but don’t try to do it all at once. Make sure you still have time take advantage of those moments to camp in a tent in the living room floor, explore a museum on a rainy afternoon, dive into a great adventure story before bedtime, and listen to your teen share about his day in the quiet time after everybody else has gone to bed. These are the moments that make life great, and with a little careful planning, you can work and homeschool without feeling like your children’s childhood were blurs. There is an abundance of resources out there, and I couldn’t possibly share them all. Do you have experiences that others would value learning from? We’d love to hear from you! We would love to have your contributions to share with homeschool families and homeschool group leaders. Submit your articles for consideration in one of our helpful blogs for homeschool families. View our writing opportunities. We believe that families have the God-given right to raise their children. Help us to continue encouraging home educating families with valuable support. Donate today!